Forge Blow Off Valve for Fiat Abarth 2012+. This Forge Blow Off Valve is the best available as it replaces the original valve with a machined aluminum valve that vents the boost to the atmosphere. This will give you the wonderful whoosh sound, and allow the boost to dump faster to prevent turbo surge. 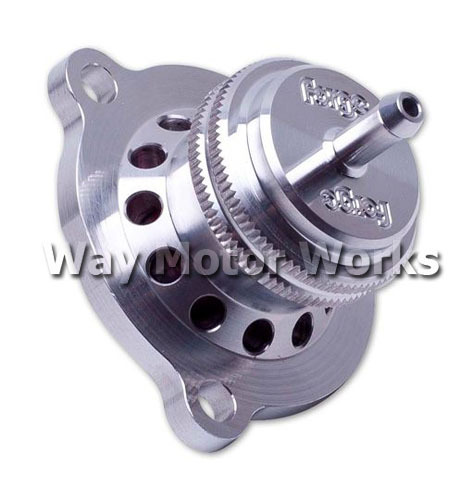 This Forge Blow Off Valve is a piston design blow off valve that is a direct replacement for the original Fiat fitment. This valve gives greater longevity than the diaphragm or (OEM) valve, but also benefits from its ability to be fitted with different springs when the boost pressure has been increased or the engine has been modified. To ease installation the top or vacuum connection is angled.